Phone Manager & Booster is the bestspeed booster and junk files cleaner to make phone faster andrestore memory space. We are here to help you get rid of phoneslowing, hung and out of space in just ONE-TAP for eachfunction! Phone Manager & Booster can clean cache, junk files to reclaimstorage; stop unnecessary apps in background to clean RAM and speedup your Android phone; and stop apps from auto-start to savebattery power. Boost your phone faster like rocket! Too many junk files? Phone Manager & Booster is here to helpcleaning junk files including system caches, apps junks, uselessfiles. With perfect accuracy, this cache cleaner can detect andclean these cache junks, ads files, obsolete trashes, memory cachesand other junk files to reclaim storage. Phone Manager & Booster helps boosting your phone by stoppingbackground processed/running apps. Also, Phone Manager &Booster can clean up and stop auto-start apps. Even better, thedurable boost effect keeps your phone run in super faster speed. Bycleaning unnecessary apps running in background, our Phone Manager& Booster frees up memory (RAM), and saves batterybetter. Phone Manager & Booster is also a useful battery saver. It canhelp you extend standby time by cleaning power consumption apps.One-tap saving to solve your battery problems, stop unnecessaryprocesses, helping you monitor memory usage and intelligentlydetect highly memory-consuming apps. Phone Manager & Booster helps users to aggregate and cleannotifications. Enable users to isolate from annoying notifications.Make your phone clean and stop users being disturbed by those junkand useless kind of notifications. Phone Manager & Booster requires only just one tap to makeyour phone back to the best condition, faster and cleaner. Boostmemory, clean the cache in just seconds! Notifies you as soon asyour phone's performance begins to slow down. Clean it now! Stopworrying about your phone's status! Let it be your personal devicemanager and make your phone better with no lag or freeze! Phone Manager & Booster is 100% FREE and GREEN. Try it freeand get your Android phone or tab running like new! You are welcomed to send us feedback and rate ustoday! Phone Manager & Booster is 100% FREE and GREEN! Rate usnow! Phone Manager & Booster is the bestspeed booster and junk files cleaner to make phone faster andrestore memory space. We are here to help you get rid of phoneslowing, hung and out of space in just ONE-TAP for eachfunction!Phone Manager & Booster can clean cache, junk files to reclaimstorage; stop unnecessary apps in background to clean RAM and speedup your Android phone; and stop apps from auto-start to savebattery power. 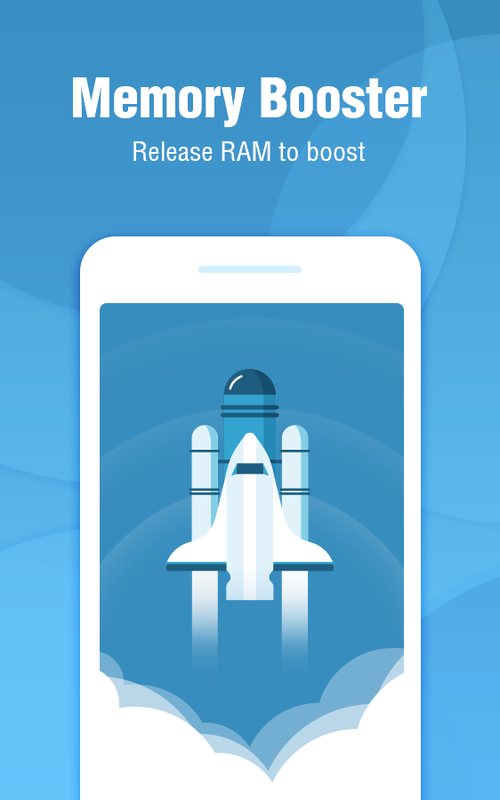 Boost your phone faster like rocket!Main Features:Cache CleanerMemory BoosterBattery SaverNotification AggregationWhite-listFeature Highlights:Cache CleanerToo many junk files? Phone Manager & Booster is here to helpcleaning junk files including system caches, apps junks, uselessfiles. 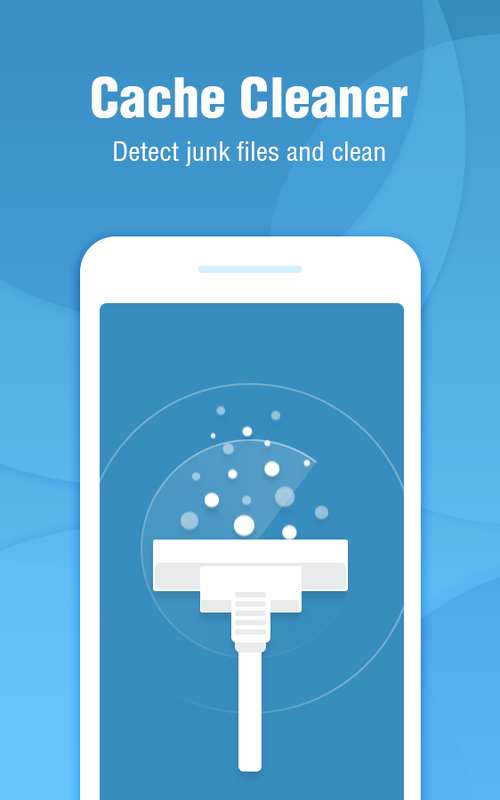 With perfect accuracy, this cache cleaner can detect andclean these cache junks, ads files, obsolete trashes, memory cachesand other junk files to reclaim storage.Memory BoosterPhone Manager & Booster helps boosting your phone by stoppingbackground processed/running apps. Also, Phone Manager &Booster can clean up and stop auto-start apps. Even better, thedurable boost effect keeps your phone run in super faster speed. Bycleaning unnecessary apps running in background, our Phone Manager& Booster frees up memory (RAM), and saves batterybetter.Battery SaverPhone Manager & Booster is also a useful battery saver. 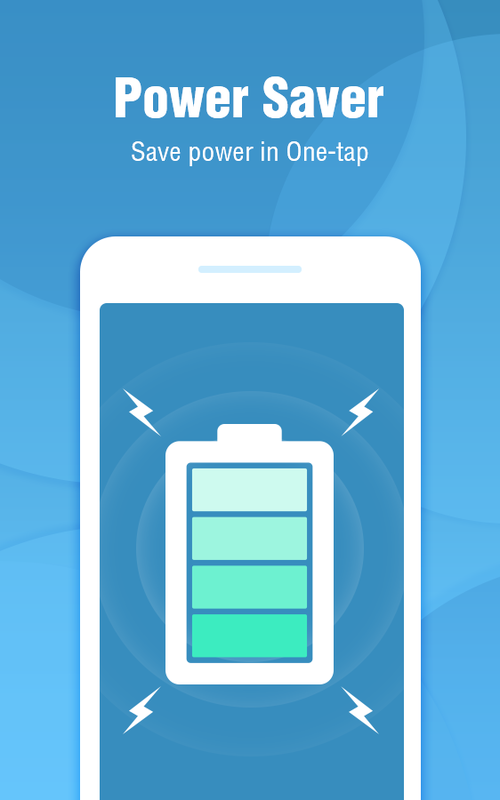 It canhelp you extend standby time by cleaning power consumption apps.One-tap saving to solve your battery problems, stop unnecessaryprocesses, helping you monitor memory usage and intelligentlydetect highly memory-consuming apps.Notification AggregationPhone Manager & Booster helps users to aggregate and cleannotifications. Enable users to isolate from annoying notifications.Make your phone clean and stop users being disturbed by those junkand useless kind of notifications.Phone Manager & Booster requires only just one tap to makeyour phone back to the best condition, faster and cleaner. Boostmemory, clean the cache in just seconds! Notifies you as soon asyour phone's performance begins to slow down. Clean it now! Stopworrying about your phone's status! Let it be your personal devicemanager and make your phone better with no lag or freeze!Phone Manager & Booster is 100% FREE and GREEN. Try it freeand get your Android phone or tab running like new!You are welcomed to send us feedback and rate ustoday!Contact us:Email: [email protected]:https://www.facebook.com/Phone-Manager-1382450308444821/Phone Manager & Booster is 100% FREE and GREEN! Rate usnow! Phone Manager is an Android application that allows you to see: -running services, - running processes, - installed apps of yourdevice. If you find any unneeded app or background running serviceyou can uninstall or terminate it from your device settings, thusfreeing device resources and increasing battery life. At "installedapps" section you can see all installed apps, sometimes more thanyou can see from your device usual means. You can sort installedapps by name, package name, being turned on/off, and availabilityto click to open app ( ">" icon). For Android O and higherversions only installed apps are available. Stay with us and enjoyfull performance of your device. Please be patient to ads presentedin the application, thanks to which we have the opportunity toprovide the application to you for free. Thank you for using "PhoneManager" app. Have you ever lost your Android mobile andhavebeen worrying about the data in it? Have you gone frustratedofwaiting for the thief to connect it to the internet so that youcanreset it from your anti-theft app? Next time when you buy one,donot forget to install this android device manager.Phone Manager - Online/Offline app by Velsof is a simplewayto manage the crucial android device management task without aneedto be connected to the internet. With the help of thisPhoneManager app, even a naive mobile user can manage his/herpreciousmobile in an effortless manner.Android device security: This Phone Manager app iscapableof handling the phone security and network related taskswith thehelp of simple SMS commands. The user can perform thesetasksremotely, even when mobile if offline. The user just has toSMS afew commands through any other mobile on their own mobilehavingthis offline Phone Manager app.Anti-theft Protection without internet : WithPhoneManager - Online/Offline app, the users do not have to worryaboutthe privacy and security of their data in case of situationsliketheft and robbery. The user can reset his/her mobile with thehelpof few SMS commands and save himself from the misuse ofthedata.Wifi manager: Besides security and anti-theftprotection,this app can also remotely handle tasks likeenabling/disabling ofWifi and Security Number. You canenable/disable wifi accessremotely by just an SMS command.What makes this app cool?► Phone management without internet► Anti-theft protection without internet► Remote reset without internet► Remote erase with SMS► Remote wifi control without internet► Simple material design► Ad-free experienceSo, you can be assured of performing difficult androiddevicemanagement tasks from any place with the help of some simpleSMScommands only. It is definitely a big relief for numerousAndroiddevice users who are facing these critical issues intheirday-to-day life.Currently, this app is available for offline mode onlythroughSMS based commands, but the work on the online version isunderdevelopment. Stay updated on the recent developments relatedtothis Phone Manager mobile app.Contact usIf you are having any issue using this app or need anyassistance,you can contact us using the undersigned details. Pleasedo notforget to support our work by leaving us a [email protected] © 2016 Velocity Software Solutions PVT LTD. Allrightsreserved. ✔️ Free up space by moving your files (documents, downloads,photos, videos and other) to SD Card ✔️ Back up your data to SDcard ✔️ Save time, fast and easy usage ✔️ Select specific files byfile extensions ✔️ Notification of new files via NotificationRegular use of Files To SD Card gives you one-click free space onyour internal memory. You can quickly move or backup your photos,videos or downloads from your device to SD card. If you want toprotect your files, regularly copy your files to SD card and youwill always have up-to-date back up of your files from internalmemory to SD card. When you copy files repeatedly, existing fileson the SD card are automatically skipped. Just select files youwant to move or copy (back up), click a big button and that’s all,fast and easy. You can also select specific files to move / copy byfile extension and move or backup your files faster. App displayslarge preview of files with more details which appear after a longtouch of the selected file With the new function "Notification",you will never forget to clean up the internal memory regularly forproper operation of your phone. Just select how often you´d like todisplay notifications of new files on your phone. App is especiallyuseful for devices with low internal memory capacity, which doesnot allow the phone to store the captured content directly on theSD card, or for users who want to quickly and easily back up filesto SD card. Also suitable for Android Go. Recommended devices:Vodafone Smart Prime 6, Lenovo A2010 LTE, Moto G, Samsung GalaxyCore Prime VE, Sony Xperia M4, Nokia One. The first time you use itand every time the device is restarted, you need to set accessrights to the SD card. This is the best app for cleaning phone junkand memory booster free on the phone. The best cleaner app for lgphone can accelerate your phone up to more than 50%, clean junkfiles on sd card in phone storage, or even phone optimizer andcleaner.1 - The highlight of apps to clean and boost phone► Clean junk: Scan and clean phone memory and storage space andcache file.► Powerful acceleration and cell phone service booster : With justone touch, I can boost my phone speed more than 50%► Phone cleaner and optimizer: Best speed booster and cleaner inthe world will ensure your phone safe.2 - The main feature of the application★ CLEAN AND BOOST AND COOL DOWN PHONE :- Scans all running applications- Clean the applications which cause battery- consuming and causeoverheating for phone- Free boost to make my phone faster, lg phone cleaner andboost- All in one phone cleaner and optimizer and speed up phoneapp★ CLEAN UP JUNK FILE:- Scan all files in the system, the memory card, APK files, improveperformance and cleaner memory booster clear cache★ CLEAN CALLS AND MESSAGES:- View all calls, outgoing calls, incoming calls, missed calls anddelete the history of calls- View sent messages, received messages or error messages★ CLEAR THE HISTORY OF ACCESS:- List all applications use network services, access or downloadinformation on phone- Not worry about security issues or malware★ INCREASE SPEED OF GAME :- This is extremely great feature for those who love game, thisfeature enables the phone to focus on the game that you are playingand remove applications running underground applications★ MANAGE APPLICATIONS:- Control the number of applications, as well as games, areinstalled in your phone- Control the number of downloaded APK fileOur best app to clean and boost my cell phone is 100% free withonly 5MB size. Have you ever deleted an important photo bymistake ? !Sometimes it happens when you delete accidently a photo from yourphone, and start looking for a good tool that can restore it foryou can bring you a headache. To solve this problem all what youhave to do is the download recuva data recovery for android and letit Scan all your phone’s internal and external memory.Ever deleted media by accident? This app attempts to recover alllost or deleted photos on your device. No root required.This application will help to restore all deleted photos, Recoveryour deleted photos now with this simple android app forfree!Today you can retrieve most of your deleted photos in just a fewminutes without the need of ROOT !Photo Pecovery application allow you to Recover your deleted photosnow with this simple android deleted photo recovery for free!I 'm sure that I deleted an important photo by mistake and ofcourse I were need this photo but I don't know the right way oraplication to recover my deleted photos from sd card ad you toosometime you were do the same thingand you want deleted photo recovery so this is the right solutionfor you just if you want to get deleted pics back.deleted photo recovery can undelete and recover lost photos andimages from your memory card or internal memory it so simailar todiskdigger photo recovery .★★★★★★★★★★★★★★★★★ FEATURES ★★★★★★★★★★★★★★★★★ easy to use★ recovery photo★backup and restore photos★best data recovery softwareSo did you delete a photo in your phone with no intention to do it? photo recovery app deleted photos is the best and the rightsolution for you !Have you ever deleted some files in your phonelike pictures and you regret doing that? photo recovery softwarefor android is you hero that can help you to solve youproblemeand recover my deleted photos.You can also restore old deleted photos and emails.This is the best recover deleted files for anyone,he is work withall phone like samsung note photo recovery and galaxy s3 photorecovery aslo with all android smart phone such as samsung recoveryphotos.So don’t worry about deleteany photo by mistake , now you canrecover them all in a minute with memory card photosrecovery.Today you can restore sd memory most of your deleted photos in justa few minutes without the need of ROOT !